As with any career at some point retirement comes. With NASCAR it doesn’t necessarily come at a certain age due to either unforeseen circumstances such as lack of sponsorship, a desire to do something else, or medical reasons just to name a few. Over the last few seasons the racing community has seen several top drivers leave the sport. With that happening it opens the door for the young guns to have an opportunity to race in NASCAR’s premiere series. Our Sarah Handy looks at who has left the sport over the last several years and who that has in turn opened the door for. Jeff Gordon: Even for those who don’t follow NASCAR it’s a fair bet to say they’ve at least heard the name Jeff Gordon. The former driver of the No. 24 Chevrolet for Hendrick Motorsports (with whom he spent his entire career with) stepped away from the sport full-time in 2015. Gordon is a four-time MENCS Champion (1995, 1997, 1998, 2001), amassing 93 wins, 477 top-ten’s and 81 poles in a career that has spanned 25 years. It should be noted that three of those wins came in the Daytona 500 (1997, 1995, 2005) and five in the Brickyard 400 (1994, 1998, 2001, 2004, 2014). Both races are two of the series top two races that are run each season. Gordon did return to the Cup Series for several races during the 2016 season to fill in for an injured Dale Earnhardt Jr., in the No. 88 Chevrolet for Hendrick Motorsports. The 46-year old is still involved in the sport as he now works in broadcasting for Fox Sports and can be seen regularly on Fox Sport 1’s NASCAR Race Hub as an analyst. Tony Stewart: Many know him by his nickname of “Smoke”� but as with Jeff Gordon, Stewart will for sure be a future Hall of Famer. Over 18 years Stewart racked up three Cup titles (2002, 2005, 2011) to go along with 49 wins, 308 top ten’s and 15 poles. Stewart who is known for his love of dirt racing and is still known to step into a Sprint Car occasionally owns the famous Eldora Speedway located in Ohio which has held a successful race for the NASCAR Camping World Truck Series over the last several years. While he stepped away from racing full-time after the season finale at Homestead-Miami Speedway last season, Stewart can still be seen at the race track as he’s the co-owner of Stewart-Hass Racing in the MENCS with Gene Hass. 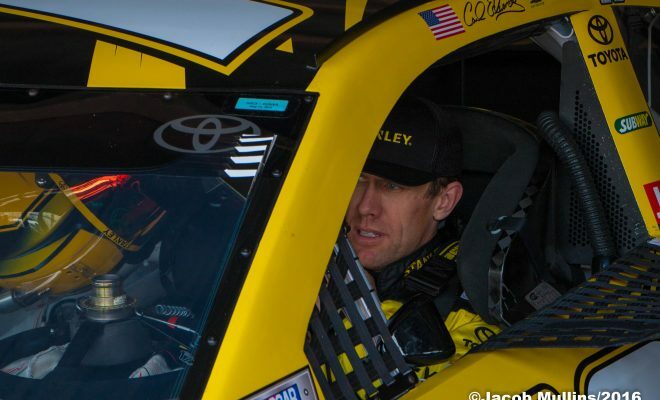 Carl Edwards: It came as quite a shock to many fans when this past January Carl Edwards who was driving the No. 19 Toyota Camry for Joe Gibbs Racing decided to retire and step away from the sport. Edwards held a retirement press conference on January 9th to say he would retire after a career in NASCAR’s top series that spanned over 13 years to pursue other opportunities. 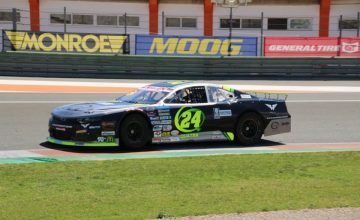 While Edwards name floated around this past season as a possible replacement driver for a couple teams it was something that the Columbia, Missouri native quickly dismissed. He has stuck behind his decision to not be in a race car anymore. Edwards earned 28 wins, 223 top ten’s, 22 poles and finished second in the Championship standings (2008, 2011) in his Cup career. Dale Earnhardt Jr: When you hear NASCAR, how can you now think of the Earnhardt name? It’s impossible, right? Earnhardt Jr., announced on April 25 of this season that 2017 would be his last full-time season in the Monster Energy Cup Series. The 14-time most popular driver never managed to win a Cup title but will go out as one of the most successful drivers on plate tracks. Dale Jr has 26 Cup wins, two if which have come in the Daytona 500 (2004. 2014) to go along with 149 top-five’s, 260 top-ten’s and 15 poles. Earnhardt Jr., will still be around the race track as he will be in the broadcasting booth in 2018 and he also owns JR Motorsports in the NASCAR XFINITY Series. Matt Kenseth: I was a little iffy on including Kenseth in this because I feel he is not stepping away from the sport on his own terms. It was announced earlier in the season that Erik Jones, who currently drives the No. 77 for Furniture Row Racing, would move to Joe Gibbs Racing and the No. 20 for the 2018 season. This announcement in turn meant the 2003 Cup Champion would be without a Cup ride. As of now Kenseth says it’s only a hiatus and not a retirement. If a team that is competitive and has sponsorship comes along we could see Kenseth back in the MENCS but for now Homestead is his last race. It’s sad to see this happen as he is still competitive as he won at Phoenix this season. Kenseth has his 2003 Championship to go along with being a two-time Daytona 500 winner (2009, 2012). He has 39 wins, 326 top ten’s, and 20 poles in NASCAR’s premiere series over twenty years. Danica Patrick: She became the only woman to win in the IndyCar Series with her win in the 2008 Indy Japan 300. With her third-place finish in the 2009 Indianapolis 500, the highest finish by a female, it was a big deal when she made the move to NASCAR in 2012. Patrick has been the full-time driver of the No. 10 for Stewart-Hass Racing since she joined the Cup Series. She’s certainly faced a lot of pressure being a woman in a sport that is dominated by men. However, the 35-year old has set a lot of firsts by a woman and should be very proud of her accomplishments. Patrick became the first woman to win a MENCS pole (Daytona 500, 2013), and the first woman to lead the Daytona 500 and the Coca-Cola 600. Let’s not forget she also has the most top ten finishes by a woman in the Cup Series (7) and the most laps led (64). Danica announced on November 17 in a press conference that she would step away from full-time racing after the season finale at Homestead-Miami Speedway. However, she has announced she has plans to compete in the 2018 Daytona 500 and the 2018 Indianapolis 500. While a lot of drivers will come and go these are the top names that stick out, but we can’t forget we’ve seen the following MENCS drivers leave the sport too whether it be retirement, sponsorship issues or something else: Greg Biffle, Michael Waltrip, Bobby Labonte (occasionally he will race at a plate track), Jeff Burton, Brian Vickers (medical issues), Robby Gordon, Juan Pablo Montoya, Marcos Ambrose, David Reutimann, Sam Hornish Jr (races the occasional NXS race) and Scott Speed. With many veteran drivers leaving, and some drivers switching teams it has opened the door for the young guns to get a chance. Chase Elliott: The 2014 XFINITY Series Champion has been nothing short of impressive since he joined the MENCS full-time with Hendrick Motorsports in 2016. In 2016-2017 Elliott has been driving the No. 24 Chevrolet but will make the move to the No. 9 for the 2018 season. The “9”, a number his dad Bill Elliott made famous as well as the number he drove when he won the NXS title with JR Motorsports. While he has yet to visit victory lane the 21-year old made an appearance in the MENCS Playoffs this season, being eliminated after the race at Phoenix and has amassed 37-top ten’s and 3 poles in only 77 MENCS starts over the last three seasons. Elliott in my opinion is a sure deal to get to victory lane next season, after-all he has come close with his 7 second place finishes which ties him for most second-place finishes without a win. Ryan Blaney: The 23-year old son of NASCAR driver Dave Blaney has also been impressive in his brief time in the MENCS. Like Elliott, Blaney made the NASCAR Playoffs this season but failed to make the Final 4 for Homestead. Blaney earned his first career MENCS victory in June at Pocono Raceway after he passed fellow competitor Kyle Busch with 10 laps to go and was able to hold off a charging Kevin Harvick. Blaney has earned 1 win, 25 top-ten’s and 2 poles in his MENCS career thus far. The young driver will make the move to the No. 12 car for Team Penske for the 2018 season. Darrell Wallace Jr.: A fan favorite who is known as “Bubba” has raced in all three NASCAR series will finally get his shot at a full-time MENCS ride in 2018. It was announced in October that Wallace would drive the famous No. 43 for Richard Petty Motorsports after it was announced that Aric Almirola would be leaving the team (Almirola will go to the No. 10 with Stewart-Hass Racing for 2018). Wallace has raced in 2017 for RPM when Almirola was out injured earlier this season. It had been speculated for a while that Wallace would take over that car, so it came as little surprise to many when the announcement was made. William Byron: The 2016 NASCAR Camping World Truck Series Champion and now the 2017 XFINITY Series Champion will make the move to the Monster Energy Cup Series in 2018. Byron will drive the No. 24 Chevrolet for Hendrick Motorsports. It’s hard to believe Byron is only 19-year’s old with everything he has accomplished in such a short amount of time. In the NCWTS he amassed 7 wins, 16 top ten’s and 3 poles to go along with his Championship. When he made the move to the XFINITY Series in 2017 he has earned 4 wins, 22 top-ten’s and 2 poles and topped it off with winning the 2017 Championship at Homestead-Miami Speedway. While Rookie’s will struggle some, I don’t think we will see too many struggles from Byron when he makes the move to the Cup Series, but we will certainly find out come Daytona in February. 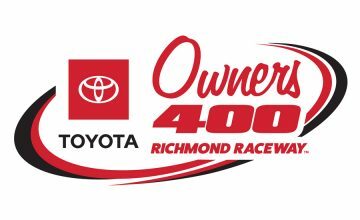 Erik Jones: The 21-year old will make the move from the No.77 Toyota for Furniture Row Racing to the No. 20 Toyota for Joe Gibbs Racing in 2018. Jones will take over the seat vacated by 2003 Winston Cup Series Champion, Matt Kenseth. Jones has yet to find victory lane in the MENCS, but he came very close at Bristol Motor Speedway in August. Jones won his first career pole for the race and completely dominated early, but would lose the lead and the race to Kyle Busch. Jones would go on to finish second to Busch after leading a career high 260 laps. With so much happening this year alone in the sport, which young gun are you most excited to see race in 2018? Which veteran are you most surprised to see leave the sport or be without a ride? Let us know in the comments below.